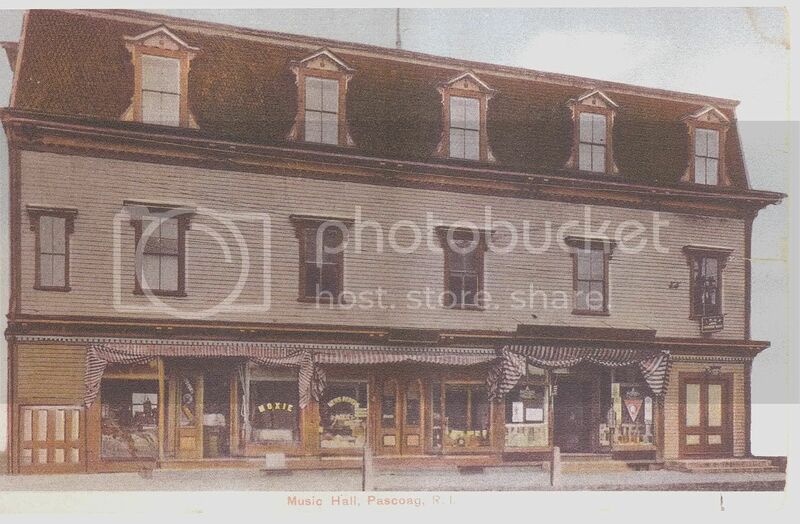 The Music Hall in the village of Pascoag in the town of Burrillville was a multi-function facility. It was built by the International Order of Odd Fellows of Pascoag in 1875. The new hall was dedicated on December 13, 1875 with a ball and supper. Municipal directories of the 1920s and 1930s list it as a theatre where moving pictures were shown. It was a different facility from the nearby Star Theatre. The Music Hall was totally destroyed by fire on May 8, 2002. Origins of the Music Hall. Early 20th Century postcard showing Music Hall. 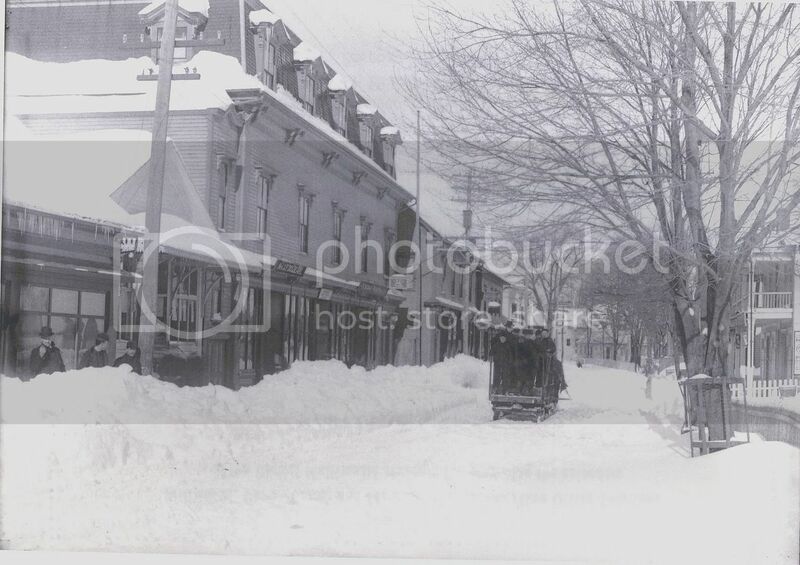 18th Century view of Main Street, Music Hall on left. 1936 photo of entrance during Tercentenary. 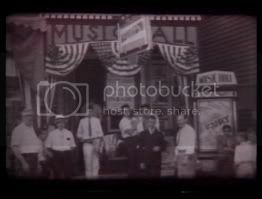 In the third photo note that the poster showing the Fritz Lang movie Fury with Spencer Tracy clearly verifies that the Music Hall was a movie theatre. The theatre eventually closed and the Star Theatre took over the function as the main village theatre. The Music Hall building became Berk’s Department Store. Then it remained vacant for 10 years until the 2002 fire destroyed it. In 2003 Jake A. LaFleur pleaded no-contest to a charge of arson for having set fire to the building. Plans are currently under way to construct a memorial to the Music Hall at the same site. I spoke to a very old gentleman at the hardware store in Pascoag today. He pointed out exactly where the Music Hall used to be, a spot that is now a vacant lot since the theatre’s destruction by fire. He remembered going there to see movies as a youth in the 1940s and enjoying the westerns that were often shown there. He recalled a barber shop and ice cream store in the building. The auditorium was on the second floor. Here is a link to a drawing of a proposed Music Hall Pavillion to be erected in the vacant lot where the original Music Hall once stood in Pascoag.